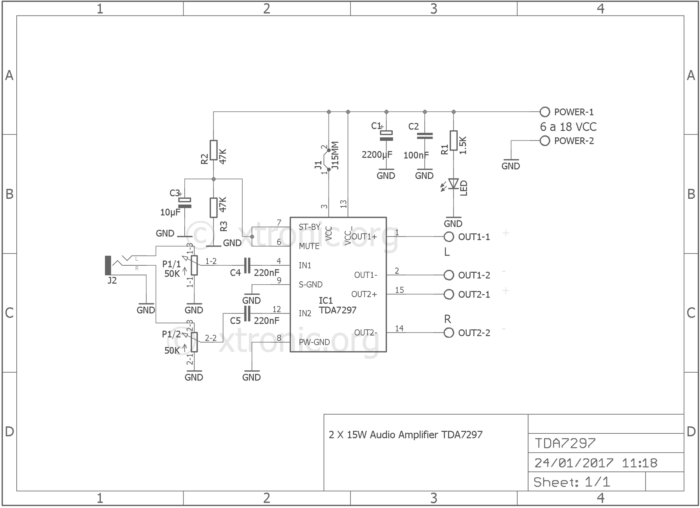 complete stereo amplifier circuit including printed circuit board to power of 2 X 15 Watts. 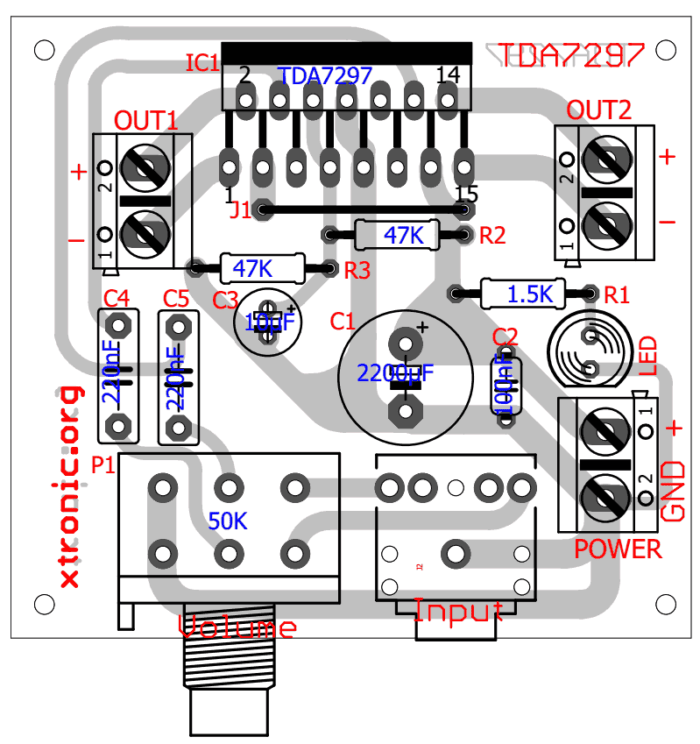 Using minimum of components in the integrated circuit TDa7297 ST Microelectronics. 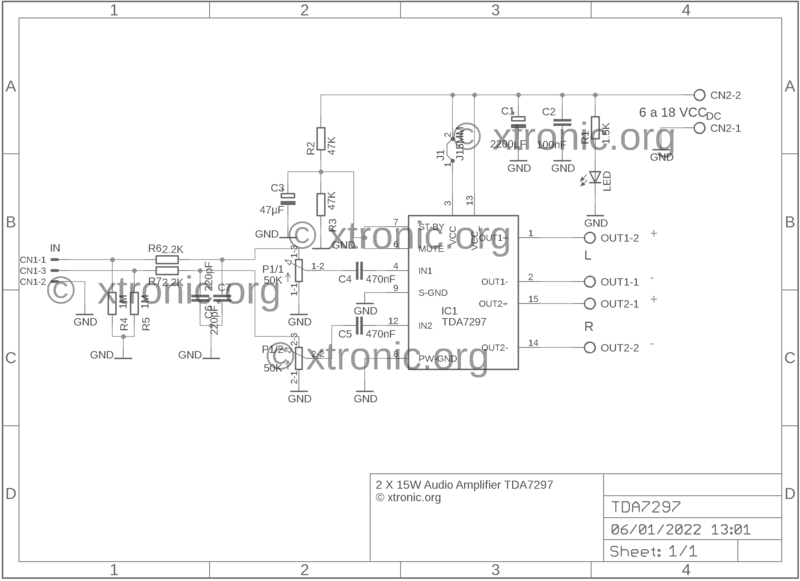 This IC presents in its interior two bridge amplifiers, making it useful for use where a stereo amplifier need easy assembly. 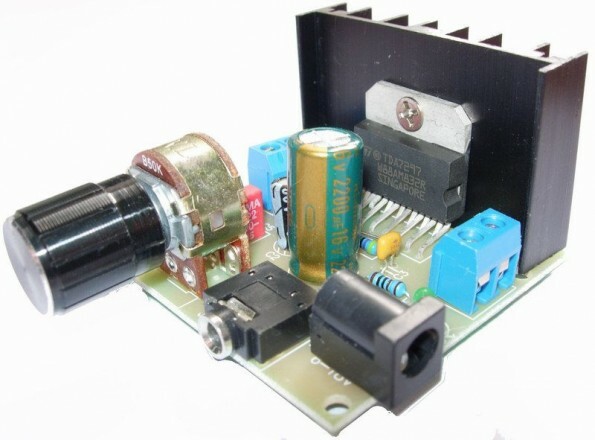 may operate with voltages 6-18 volts and has protection against excess temperature. 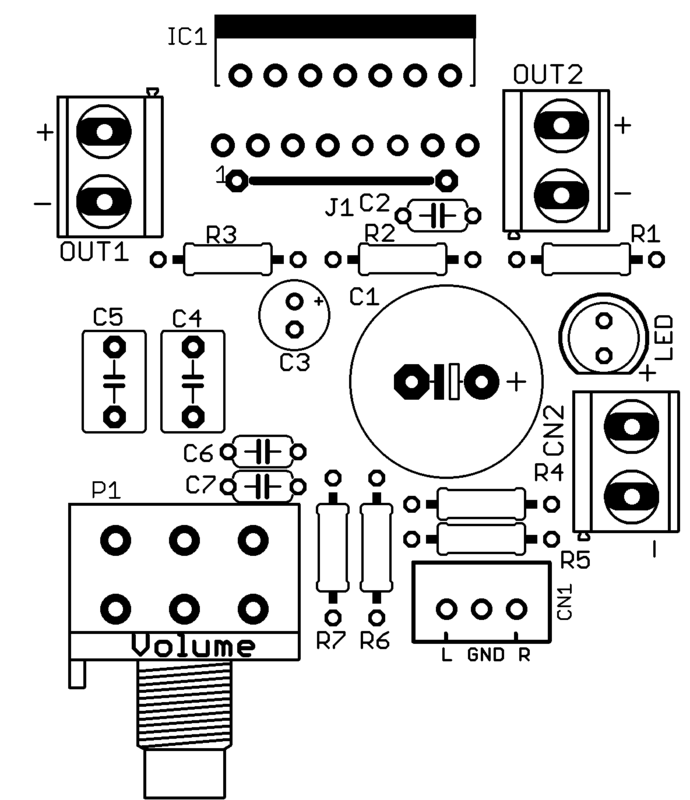 Wire, PCB, Box, power supply 9-18 Volts / 2 Amps *, etc..
Download the PDF files to mount the amplifier – Datasheet Tda7297 the PCB, PCB layout components, PCB Silk and Schematic. How can i connect this wih my car? 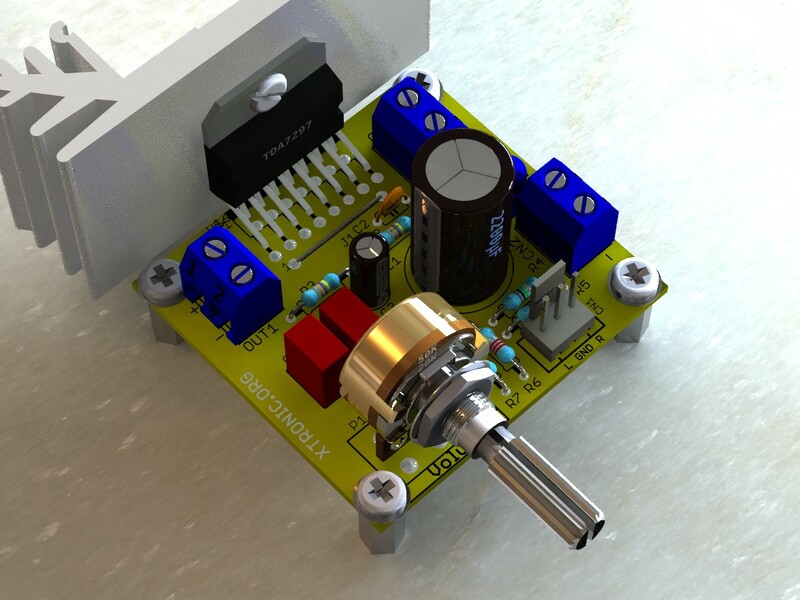 I can replace polyester capacitor with ceramic capacitor or not ? 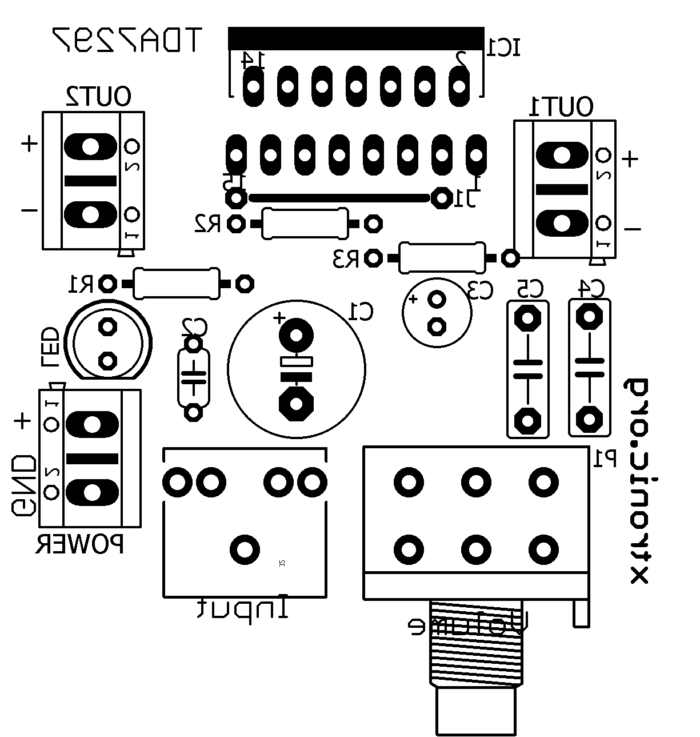 hi.pcb file can you send your email?with pertous and altium. What is the scale or size of the image to be taken in print? 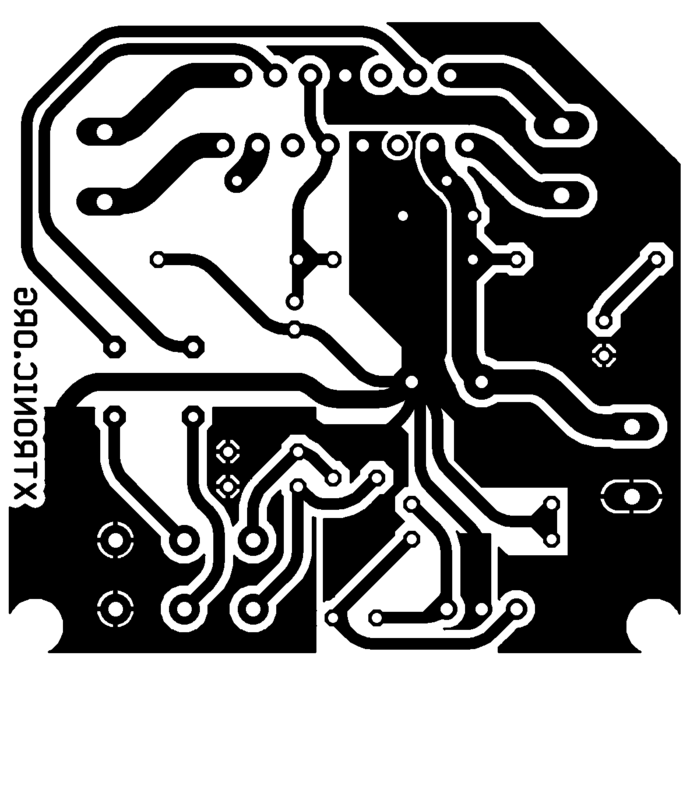 for Etching PCB. 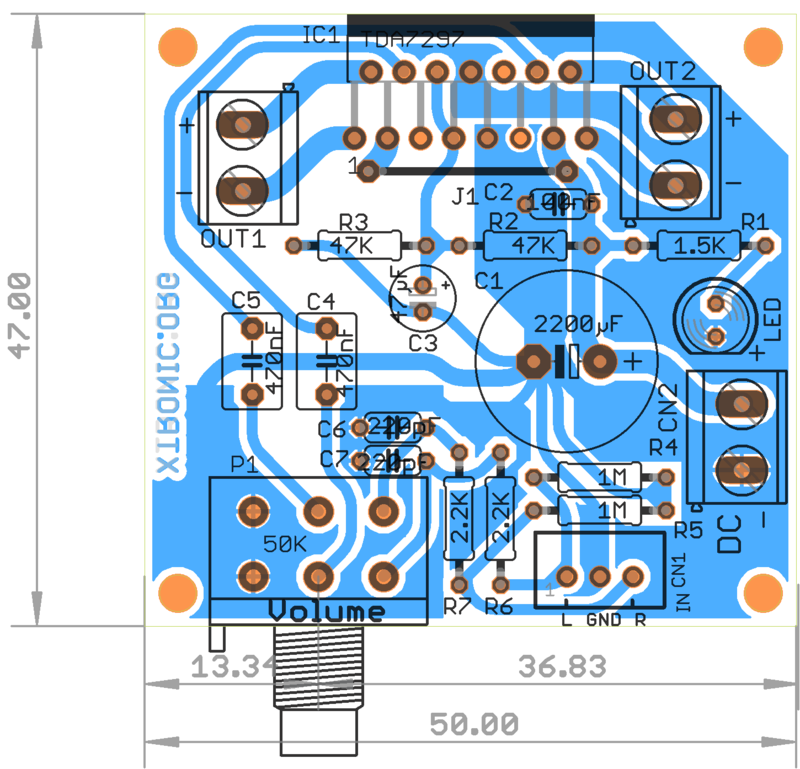 I have built the amp as per diagram and is working. The problem that I am having is the the heat sink is getting too hot, I am concerned burning the I.C. Do you have any pointers that I can look at to resolve this issue? 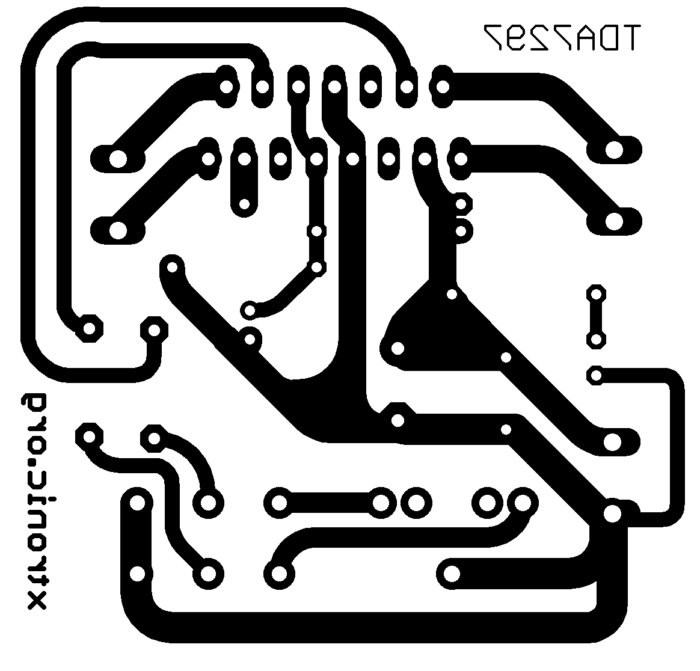 Really nice circuit. I satisfied with it’s performance. My question is that, why 220nF capacitors are used to input of TDA7297? Aunque a bajo volumen. Que puede ser? speakers are 4 or 8 ohms? olá amigo toni olha eu gostava de montar este amplificador ,o tda 7297.obrigado?